This entry was posted in Britain, domestic, minnesota, weather. Bookmark the permalink. 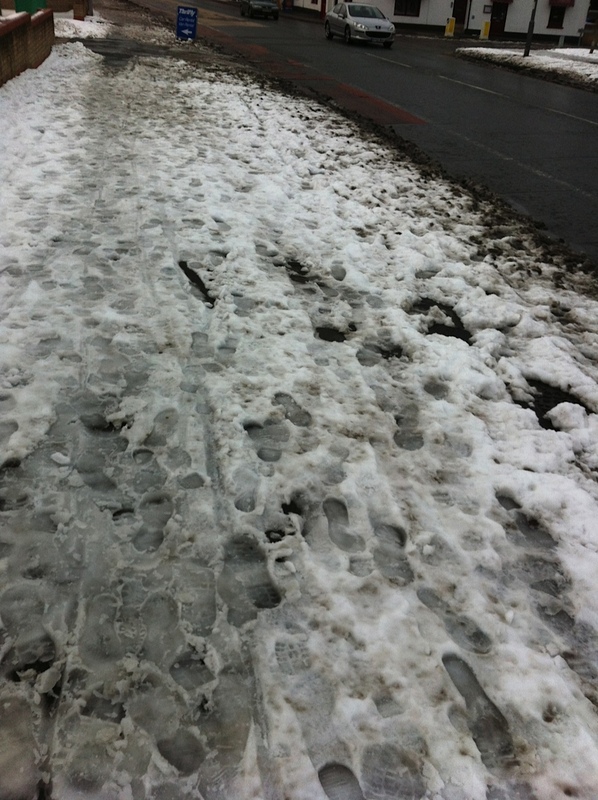 Usually Councils just put down salt and grit and leave it at that. Or maybe I’m out of date. Maybe that’s what used to happen. I agree. A bit of snow-shoveling never hurt anyone. It’s not even shoveling that is required here, it’s broom action. Sweeping would solve the issue. The council did clear our town center, but out here in the hinterlands (1 block away from the center) the sidewalks look like your photos. BTW: Thermometer reads 1 degree F this AM. That’s not on! Italy is in a trechrous situation, everybody is out clearing their paths ,businesses too..Islipped and fractured my right wrist, Icould report the supermarket for not clearing their property, It seems a nonsensical myth, because, as you rightly comment , a broom is all that is needed for a couple of inches of snow. At this moment my husband and neighbours are shoveling away a 5ft snw drift which is blocking paths and driveways from the overnight blizzard, what would happen in UK? 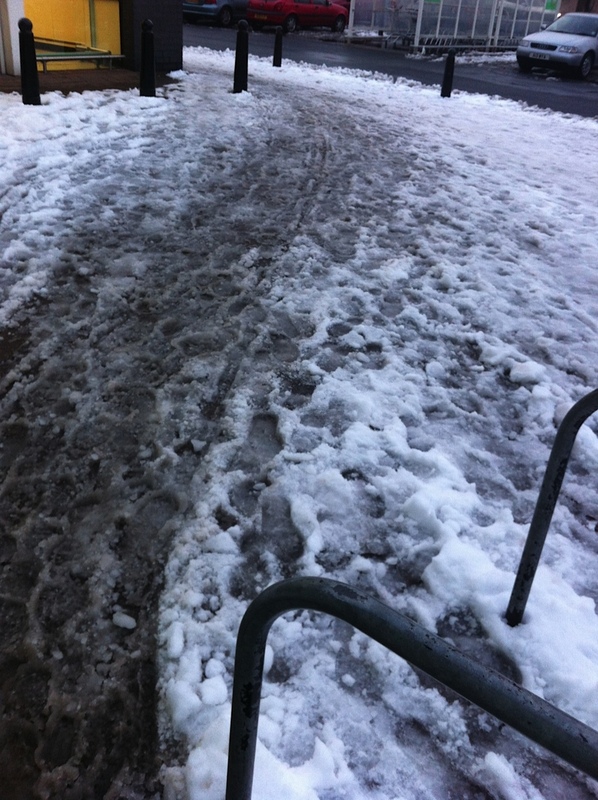 In France, you are required by law to clear the footpath/sidewalk/trottoir of snow and ice! It’s so self-centered and uncivilized not to clear the snow from your own sidewalks and sand or salt them as needed, not to mention exceptionally stupid for businesses not to. Way to attract customers! It just takes a little forethought to stock up on sand, salt, or calcium chloride and an appropriate shovel before it snows. Just found your blog through Twitter and I think I’ll be a regular reader! How interesting, I had no idea that myth existed. In my Canadian hometown it was also law to clear the sidewalks, but in Austria (where I was last week) it definitely seemed optional. Rachel… speaking from experience also, Once you have shoveled or swept the snow away… sprinkle a bit of salt over the area ( even table salt will do) and this should take care of any black ice.